Volume 45 (2019) Available Now ... The ultimate book for Arabian horse lovers, owners and breeders, and general horse enthusiasts of all ages, with over 190 pages of stunning photography. Arabian Studs & Stallions will take your breath away with its amazing photographs of Arabian horses from around the world. 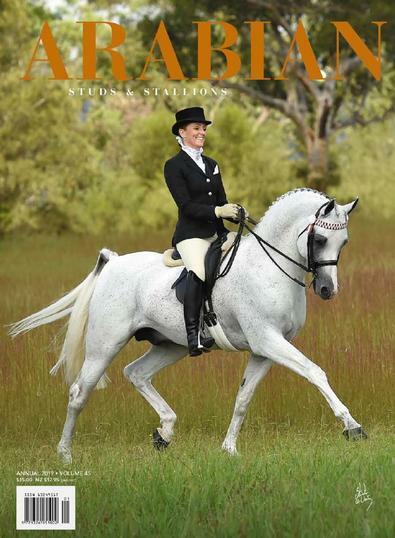 Established in 1972, Arabian Studs & Stallions has earned a reputation as a publication of choice for dedicated Arabian horse breeders and enthusiasts in Australia and around the world and features informative stories about horses and people involved in the Arabian horse industry worldwide. Arabian Studs & Stallions is produced annually and continues to be not only a stunning pictorial record of the Arabian horse world but a valuable reference source as well. Truly a book for all horse lovers as well as those with a passion for the most beautiful of horse breeds - the Arabian! Be the first person to tell us what you think about Arabian Studs and Stallions and you'll save $5 on your next purchase!